Best Ski Helmets of 2019: You might be a very capable skier who has what it takes to take a ride down most of the peaks worldwide. But, do you know that even the most experienced of skiers understand the great importance of a ski helmet? Recent research has shown that such helmets prevent concussions and serious head injuries by as much as 50 percent, and also prevents risk-taking behavior among the skiing enthusiasts. In this list, you will find the best ski helmets 2019, any one of which can be your choice when you go to the Alpine slopes next time. Some of the top ski helmets on this list are those which provide the minimum safety requirements as mandated by European and international safety standards. Previously, such ski helmets used to be bulky and heavy. However, of late, these devices have shed a lot of weight and are lighter than ever before. Their usage has also increased exponentially. And while skiing accidents do keep recurring, life-threatening ones have been significantly reduced. 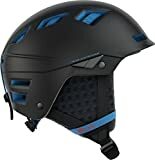 These best skiing helmets that we have listed here are those which have been tested and tried out by our dedicated team of experts who know the business and art of skiing inside and out. You can also check out our best hiking watches to manage your time fruitfully on the next trip. Before we go on to the criteria that must be kept in mind whenever you are buying a ski-helmet, here is the list of the only devices that must be kept in mind. You will have to narrow down your options based on your requirements, special features, and budget. Now let’s get started to review these best ski helmets exclusively for all of our readers. The construction of the helmet is the hybrid in-mold type and is one of the best unisex ski helmets of 2019. It weighs a mere 17.05 oz and has 21 vents for excellent ventilation. ow, in the quest to find that one perfect ski helmet, we studied a lot of options and this is, by far, the most important and most appreciated one. The build-quality, attention to detail, and the soft inner side are some of the best features that have bowled us over. The coverage around the head looks and feels great as does the easily adjustable BOA dial meant for the adequate fit. Overall, this is surely one of those helmets which have mated style with substance, The Vantage MIPS model is so lightweight and so easy to use that you will hardly feel like you are actually wearing it. The device is fitted with the MIPS technology, or Multi-directional Impact Protection System, which is found on a number of different helmets manufactured by many other companies. Such a protection system comes with in-built protection from certain types of rotational forces which may hurt the head in case of a collision. The total of 21 vents provides excellent ventilation in the helmet and also gives its own air-pocket protection. The Smith Vantage MIPS helmet is clearly one of the safest ski helmets currently available. It comes in a number of different and stylish colors too. These ventilation vents are supported by the help of two separate sliders which help in easy customization. 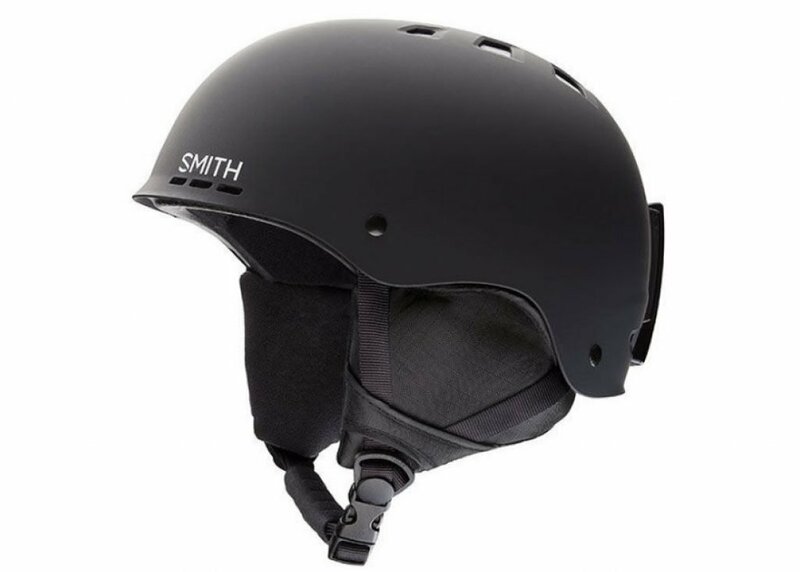 While the helmet certainly does have a low-profile design, it must be remembered that the honeycomb Aerocore construction, which is a proprietary system used by Smith, is present here too. Note that the variant with the MIPS liner is optional and fits slightly smaller than the ones which lack this liner. So, for people who have slightly bigger heads, they may shrug off this option. 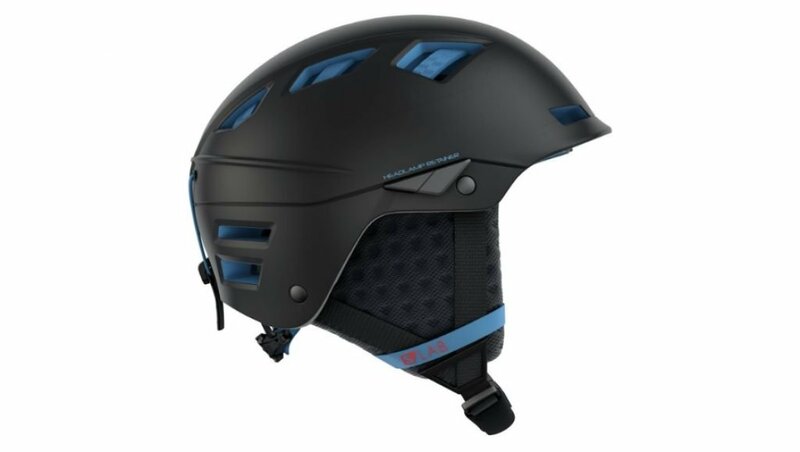 This is easily one of the top Ski helmets 2019 for the features that it offers, the safety and the comfort areas that it covers, and the stylish and yet understated design. The Smith Vantage is also one of the most well-ventilated ski helmets of 2019. 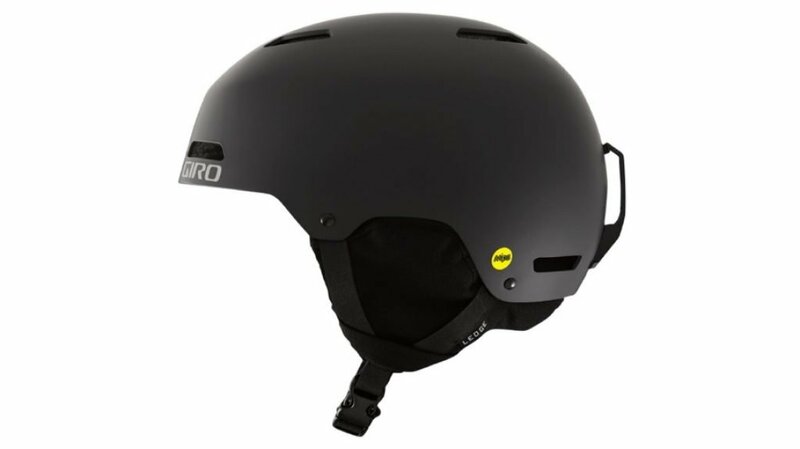 Giro is one of the most popular manufacturers of skiing helmets. The Giro Range MIPS variant is one which has it all: style, comfort, features, safety, and reliability. Like most modern best ski helmets, this helmet too has the built-in MIPS technology which makes it doubly safe compared to those which do not have this feature. Giro has always tried to bring innovation in their wares and this model is no exception. The Range MIPS offers the best-in-class low profile design which is made possible largely due to the adjustable two-piece shell while the dial is well-annunciated. Even while wearing gloves, using just a thumb, you can either expand or close the semi-flexible helmet around your head. The Giro Range MIPS probably is the best-fitting ski helmet on the list as it is ideal for almost all types of heads, thanks again to its semi-flexible nature. The light and adjustable nature of the model is much-loved. However, one of the most striking things that the helmet has is that the strap under the chin is magnetic and is hence easier to open and close than many comparable models. The strap can easily be adjusted even with the gloves on. Unlike the standard buckle from Smith and other notable manufacturers, this is a great step-up. The soft-touch interior is also something that adds a lot of value to this product. Overall, this is one of the lightest ski helmets. It not only has the latest and state-of-the-art safety equipment onboard, it is also one of the most low-profile ones. While it does need some more work to be done on the ventilation front, we believe that Giro has a winner on its hands. CONSTRUCTION - MIPS - Multi-Directional Impact Protection System. Articulating hard shell construction with Conform Fit Technology. It features a durable yet semi-flexible EPP construction that envelops the head to provide the lowest-profile fit we've ever created as well as unsurpassed custom comfort. FIT SYSTEM - Conform Fit Technology. The fully integrated Conform Fit System utilizes a two-piece shell that literally forms to the rider's head shape by expanding and contracting with the turn of a dial. VENTILATION - Thermostat Control adjustable venting allows you to custom tune airflow instantly with a simple, low profile control button on the outside of the helmet. No other system is faster or easier to adjust, and nothing is more effective at keeping you comfortable. Stack Vent in the front of the helmet which aligns with your goggles and helps to keep them clear and fog free. SEAMLESS COMPATIBILITY WITH ALL GIRO GOGGLES - Giro products have been meticulously designed and tested to work together. We've fine-tuned the pairings of our helmets and goggles using exhaustive testing in our Dome R&D center and translating those findings into the perfect Seamless Compatibility fit. We recommend Giro Contact and Axis Goggles. Oakley is a model that we generally associate with eyewear. However, barring the most enthusiastic hiking and trekking enthusiasts, most people do not know that they also make extremely great ski helmets. For example, the Oakley Mod5 is a continuation and an improvement over the Mod3, which we had used for some backcountry trekking in January. One of the things about this helmet is its Hybrid in-mold design. Now, Oakley has made some very particular design changes in its helmets. The Mod5 and the Mod3 both have, for example, use tough ABS plastic meant for extra protection and adjustable ventilation; in the Mod5, these aspects have been made even better. To accommodate the goggles (and we admit that the model favors Oakley’s own goggles over others), the Modular Brim System (MBS) has been used. This is the best Modular ski helmet for the simple reason that there are two brim sizes- one large and one small- which are used to bring about the change in the brim. Overall, the design is pretty solid and the nicely cushioned helmet also provides other premium features like a magnetic chinstrap system. On the back is a BOA dial while a removable line is also present. The ventilation does need some improvement but the ear pads with cutouts need serious overhauling. While these may be two drawbacks, this just might be the best ski helmets for beginners. While the Oakley Mod5 is available in both variants, with and without MIPS, it must be said that the MIPS variant is a better choice for obvious reasons. However, the MIPS variant does increase the price significantly. As far as the MIPS-enabled Oakley Mod5 is concerned, it is definitely one of the best ski helmets of 2019 with goggle support. We took it to the Appalachians last year and it was a great experience. It can withstand even the toughest of knocks and still retain its strength. Oakley has clearly put in as much effort it does in its helmets as it does in its eyewear. Another entry from Giro is the Giro Ledge MIPS. This is the best Ski helmet for women. This helmet has hard shell construction and, as the name suggests, is also MIPS Equipped. There are 8 fixed vents for ventilation, which is a letdown. Giro, incidentally, was one of the earliest adopters of the MIPS feature and the Ledge MIPS model has got everything it takes to be a bestseller. Significantly, despite having MIPS and with its own unique design cues, the Ledge is relatively inexpensive. It is, in fact, the best MIPS ski helmet under $80. Although the MIPS feature is the main USP of the helmet, it lacks the other bells and whistles which most other helmets have. However, most of the users, whether pros or amateurs, will love some of its best features: a goggle retainer hook located on the back, decently thought-out removable ear pads, and a very usable fit adjustment system, all of which propel the model into its own league: premium but inexpensive. The Giro Ledge goes up head-to-head against the likes of the Oakley Mod5 we detailed above. However, while the Giro model may lack some of the frills that the Oakley has, it does retain some of its good names by adding the MIPS functionality without charging a bomb. It also supports a wider range of goggles. 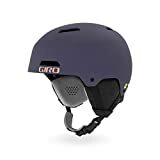 Overall, the Giro Ledge MIPS is most definitely the best budget Ski helmets of 2019 on this list. Where it lacks in features, it more than makes it up with its greater safety. Overall, the Giro Ledge MIPS is probably the best bet for beginners. They will have access to all the basic features of a standard ski helmet without needing to burn a hole in their pockets. The ABS (Acrylonitrile Butadiene Styrene) construction is certainly one of the best features that this helmet has onboard. CONSTRUCTION - MIPS - Multi-Directional Impact Protection System. Hard Shell construction produces great helmets at great value. A rugged outer shell is molded and then attached to the EPS foam liner. FIT SYSTEM - Auto Loc 2 Fit System (removable) is a durable self-adjusting fit system designed to take the hassle out of fitting a helmet. A supple elastic fit band at the back of the helmet merges with fixed-position straps, which adjust to cradle your head when you set the system to one of the 3 different circumference settings. The new On-the-fly Vertical Tuning feature helps to dial in your fit and goggle set up without removing your helmet. VENTILATION - Stack Vent in the front of the helmet which aligns with your goggles and helps to keep them clear and fog free. The Super Cool Vents on the top of the helmet allows the hot air to escape. SEAMLESS COMPATIBILITY WITH ALL GIRO EXV GOGGLES - Giro products have been meticulously designed and tested to work together. We've fine-tuned the pairings of our helmets and goggles using exhaustive testing in our Dome R&D center and translating those findings into the perfect Seamless Compatibility fit. We recommend Giro Axis, Ella, and Blok Goggles. Whenever we are asked about the best Ski helmets reviews, no single list is complete without mentioning the POC Receptor BUG. This hybrid double-shell helmet is one of the safest and most comfortable skiing helmets around. It is notable for its impact resistance: the double shell is there for a reason, after all. That is not to suggest that the helmet is stuffy: the two layers provide for ideal ventilation too. This is probably one of the strongest Ski helmets currently available. The ABS covering is cladding not only some parts of the helmet unlike many other helmet manufacturers but the entire surface. For people who like to push the limits as far as trekking and hiking are concerned, this is the model that they should buy. While it is true that you have to sacrifice a bit of extra weight for the helmet, it is also true that the weight difference is not too great. The standard Receptor Bug helmet does not have an adjustable nature, so we went with this slightly more advanced version. 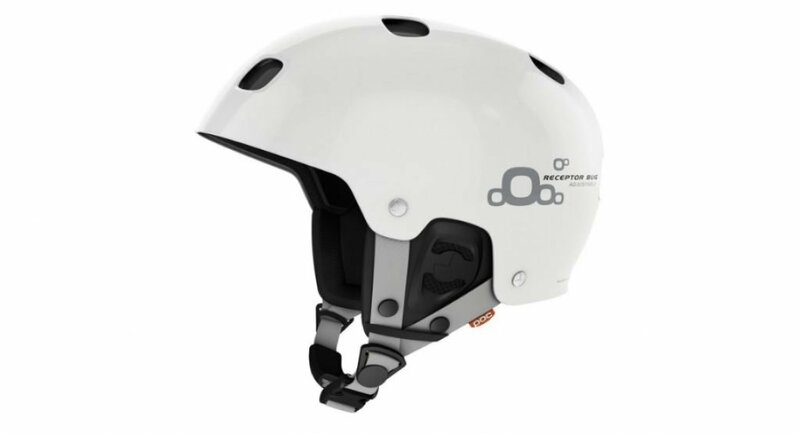 Depending on the conditions and on the need of ventilation, there are 8 large openings on the helmet that can be opened or closed in case the user so wishes. The standard variant also comes in 5 different sizes which makes fitting woes a thing of the past. Also, these models have the maximum number of color variants currently available. The POC Receptor BUG review must conclude with the fact that it is easily the go-to option as far as a tough Ski helmet is concerned. It has a lot of great features which come at a pretty affordable price. It is well-ventilated and also has its very own double shell, which adds not only strength but also protection in decent doses. 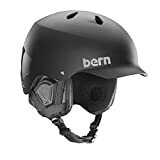 Bern has managed to come up with what we consider to be the most comfortable Ski helmet of 2019. As we know, Bern is a well-known company in this category. Ski helmets are to be a mixture of safety and comfort- all engaged into one. The Bern Watts is a product which combines the best of both the worlds. Simple slide the BOA adjuster and you are ready to go for the entire day. This model is also the best multi-season Ski helmet for it can be used for both summers and winters. When being used in the summertime, simply pick up a summer liner for your biking journeys. This will, in that sense, be your companion for across the year. Given that the area we live in, Seattle, can be quite warm on sunny days, these helmets have been of pretty good help often. Being the best ski helmet under $100, there are bound to be some compromises. For example, the ern Watts EPS lacks two basic ingredients: it is slightly lower on the ventilation count and it is not too suitable for use when the wearer has goggles on. This is why we recommend that you do not use it in very hot climates: the lack of the adjustable vents will leave you with a hot head (literally). And if you find average-sized goggles like Smith I/O at your local store, these will work pretty well. Too large or too small goggles will not be of any use whatsoever. In ay case, this is a great buy. 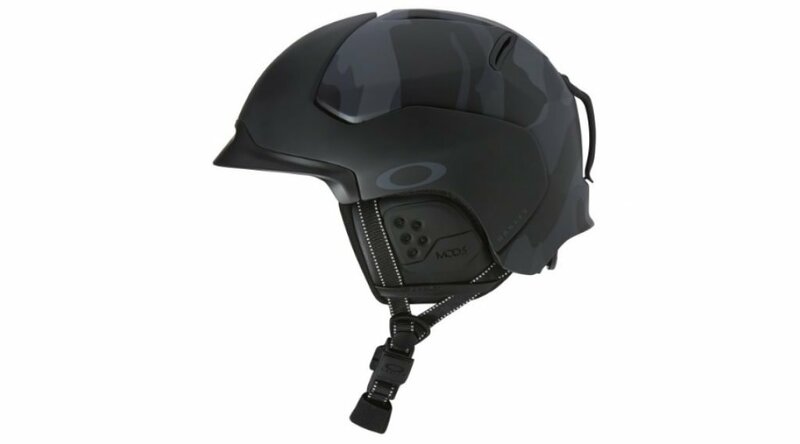 It is widely considered as one of the best ski helmets for men as well. This is the best Ski helmet with audio capability. While the audio system itself is not a part of the helmet, the ear flaps are audio-ready. If we overlook certain drawbacks, like the lack of adjustable ventilation vents and that goggles tend not to fit, this can be one of the greatest ski helmets 2019. Note that we have taken it to various places with varying climates and the BernWatts does hold up pretty good. Salomon manufactures almost all sorts of outdoor adventure and sports equipment and the Salomon MTN LAB is arguably their finest ski helmet. This hybrid in-mold gear is one of the toughest ski helmets and also one of the most reliable. At just 10 oz or less than 1 pound, this is one of the lightest Ski helmets 2019. Most backpacking or skiing expeditions use helmets which are slightly heavier; however, the Salomon MTN weighs in at a feathery 10.6 ounces, which means that it can be used best when one is on a downhill-oriented trip. Being lightweight does not mean that it is not armored: it has protection across the entire surface of the helmet as well as on the rear side of the head which is great. 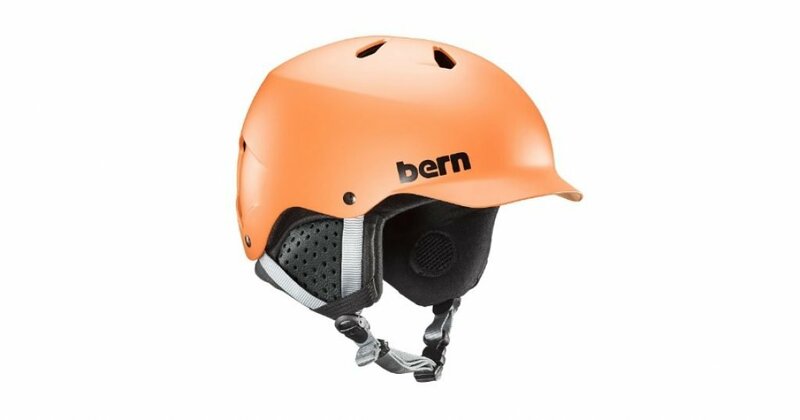 On this list, this is also the only Ski helmet for mountaineering, and that has been officially sanctioned by the authorities. The large vents which are distributed along the entire side of the helmet also ensure that the wearer gets the best value-for-money experience. However, there are two distinct disadvantages: one, that this helmet has slightly less padding, and is not too good when it comes to warding off the cold temperatures. Given these minor shortcomings, if you add some essential gear to the basic helmet, you will get ample bang for the buck. It is also good at wicking moisture in case of rain or scalp sweat. Overall, for the right person, this is the right helmet. If you are on the lookout for a lightweight skiing helmet, look no further. This model has almost everything it takes to be one of the best ski helmets. If the company decides to jack up the padding and to slightly elevate the ventilation factor, it will someday rival the Giros and the Smiths. The feather-light mtn Lab helmet is best in class. Innovative EPS 4D technology, and lightweight parts throughout enable Adventurers to bring a helmet on every Mission. Smith Optics manufactures some of the very best skiing helmets. The Holt is easily our favorite for being the best Ski helmet under $100. Smith, as you already know, manufactures some of the best helmets in the business. They not only manufacture extremely premium versions, some of their slightly-inexpensive variants too are nothing to write off. The Holt is one such model and it is the best Unisex ski helmet on the list too. 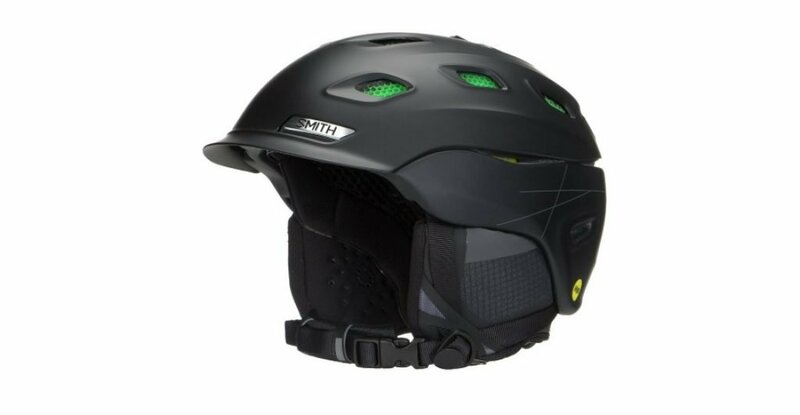 The Smith Optics Holt has one of the most distinctive shapes of all the existing hiking and skiing helmets. Many people who have used this specific model, and we are among them as well, have commented on how the company has managed to get the cheap and dreaded mushroom look that plagues many such comparable devices. As far as most budget ski helmets go, this entry is definitely one of the best. The adjustment system aboard the Holt Unisex is unique; instead of a standard adjustment system, it has an elasticized band. The Holt may be slightly uncomfortable in certain cases but sometimes it does tend to muffle the sound that the user receives. But overall, if you consider the build quality, this is easily up there with the best ski helmets 2019. 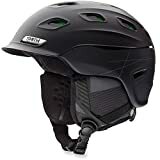 The Smith Holt is impressively designed and is one of the sturdiest ski helmets 2019. If you are not too willing to spend a lot of money on such a helmet, this is one of the best that money can buy. While it may be prone to overheating, it certainly is one of the best low-end skiing helmets. The availability of multiple colors also adds to the charm. While most of the ski helmets on this list may look very alike, they are hardly so. Each and every helmet has some special feature/s. You should be aware of which features to know and look out for before you end up making a purchase decision. 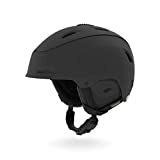 This exclusive best ski helmets 2019 reviews and buying guide exists for this purpose. There are a lot of varieties as far as skiing helmets are concerned. Three basic variants are the following: the ones with ABS construction which offer the greatest strength, the ones with the in-mold construction for the lightest weight and the hybrid in-mold helmets offer something from both worlds. The ABS helmets are essentially a plastic shell with a foam liner glued underneath. It is strong and safer to wear but at the expense of weight and bulk. They offer some savings when compared to many other types, however. 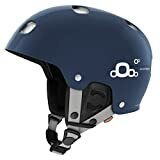 If you are a beginner who would like to go skiing and save some money along the way, this is the go-to helmet. The In-mold and hybrid in-mold technology helmets are mostly the mid-range to premium ones. These helmets are molded rather than glued and have a comparatively thin shell (often made of polycarbonate) together with an EPS foam liner. This molded nature gives it an ability to absorb shocks and bumps and make them more efficient. They also have better ventilation. In our experience, the hybrid designs are some of the best ones currently available as far as the best 2019 ski helmets go. However, they do tend to be far more expensive for many users. Ventilation is a very important factor when choosing any modern ski helmets. We have already given the number of vents that each of the following top ski helmets has and whether they are adjustable or fixed. Counting how many vents a certain helmet has is one way of getting to know how well-ventilated the helmet is. You have to consider both adjustability and design considerations. Adjustable vent helmets are considered to be the best in the business as they can be used both on warmer days as well as in colder climes. However, it should be kept in mind that the adjustable vents are found mostly in premium offerings and most of the budget offerings have fixed vents. However, some budget offerings do have well-designed passive systems in place which behave rather well. So, choose your usability and model based on what criteria you choose. A quality liner makes all the difference once the safety features are taken care of. If a helmet is not comfortable, then that helmet is not worthy at all. The difference between a budget helmet and a premium helmet does become apparent when the helmet is worn all day. More premium helmets have better and more comfortable liners. Most of the best ski helmets under $100 have somewhat uncomfortable liners which have a lot of catching up to do. Therefore, whenever you are looking for a good helmet, make sure that you spend a few extra bucks so that you get all-day and lasting comfort. Safety is paramount when it comes to wearing ski helmets. 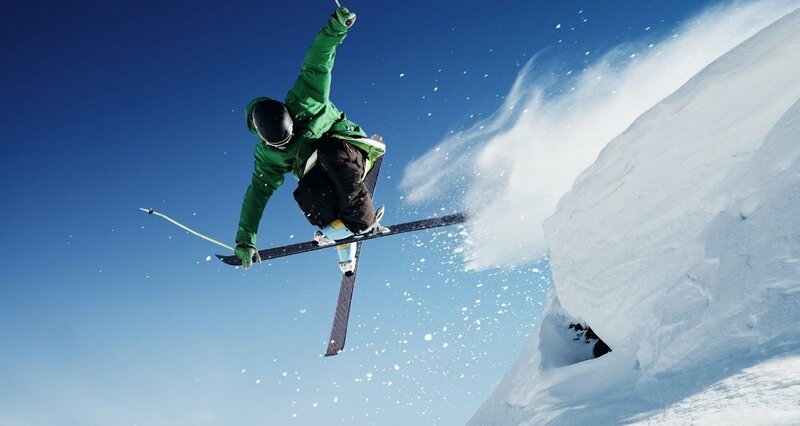 After all, skiing can often lead to debilitating injuries, most often to the brain. Most of the modern ski helmets are certified by ASTM International. Make sure that your helmet is certified by a leading safety and standards agency. Perhaps the most important single safety guideline that has been adopted is the MIPS, which we have described above. And since all the price bands have adopted this standard, the helmets, in general, have improved by quite a bit. So, we recommend that you buy something along these lines. Some of the best ski helmets of 2019 are those which are not too heavy or bulky. When you combine the manufacturing platform, as we mentioned in the first point of this buying guide, these are roughly the weights: 14 to 15 ounces for the in-mold models, 17 to 19 ounces for the hybrid ones, and 20+ ounces for ABS-built helmets. As you can see, most of the helmets have pretty similar weights. That said, you should not confuse safety with weight. Choose a middle ground so that you have the best helmet possible. Lastly, we have the size and fit of the product. It is a matter of great importance that a helmet need not be too tight for the wearer’s head and nor should it be too loose. To measure your head’s circumference, take a soft-sided measuring tape or string and then wrap it one inch above the ears and over the eyebrows in centimeters. Take the measurement and then you can refer to the size chart for the helmets. Make sure that you choose the size carefully. Some of the very best ski helmets 2019 are not those which have huge brand names to back them up; they are those who have the best performance. Also, the price of a helmet is not always indicative of quality assured. Keep these points in mind when buying a skiing helmet. Just follow the rules the next time you do go down the slopes and everything should be safe.